Mohali: RCB's captain Virat Kohli trying to stop security person who chasing a pitch invader during the Indian Premier League (IPL T20 2019) cricket match between Royal Challengers Bangalore (RCB) and Kings XI Punjab( KXIP) at I S Bindra Stadium in Mohali, Saturday, April 13, 2019. 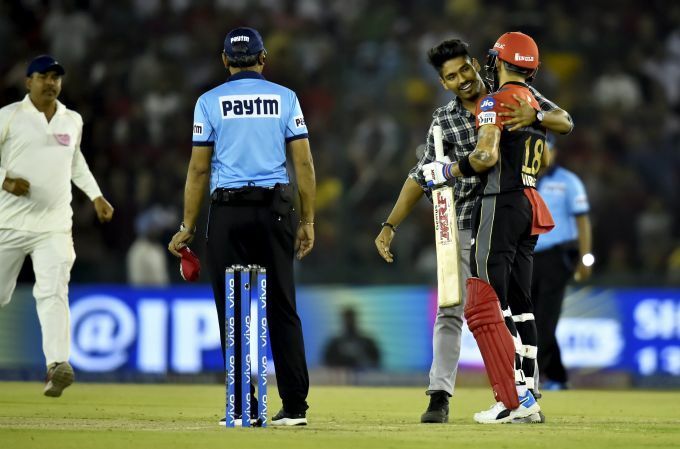 Mohali: A pitch invader hugs RCB's captain Virat Kohli during the Indian Premier League (IPL T20 2019) cricket match between Royal Challengers Bangalore (RCB) and Kings XI Punjab( KXIP) at I S Bindra Stadium in Mohali, Saturday, April 13, 2019. 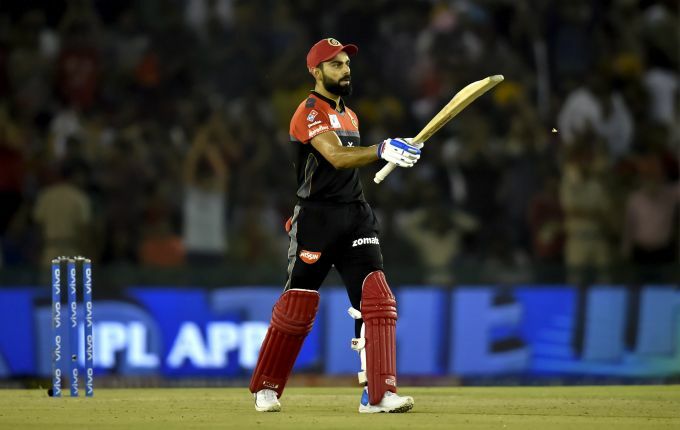 Mohali: RCB's batsman Virat Kohli celebrates his fifty during the Indian Premier League (IPL T20 2019) cricket match between Royal Challengers Bangalore (RCB) and Kings XI Punjab( KXIP) at I S Bindra Stadium in Mohali, Saturday, April 13, 2019. 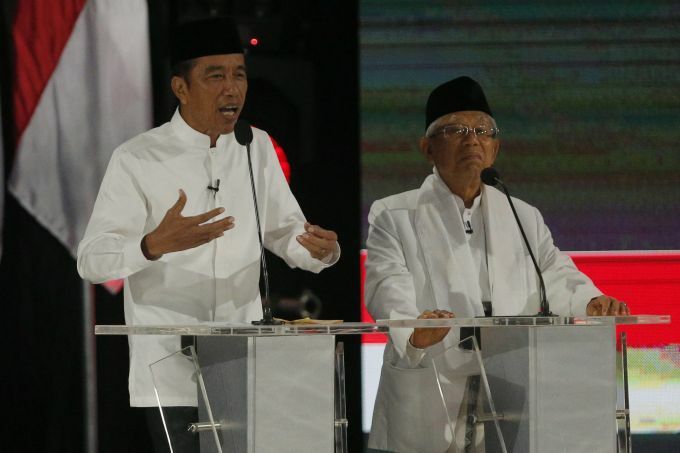 Jakarta: Indonesian President Joko Widodo, left, delivers a speech with running mate Ma'ruf Amin, right, during a televised presidential candidate debate in Jakarta, Indonesia, Saturday, April 13, 2019. Indonesians flocked to presidential campaign rallies ahead of a final debate between incumbent Joko Widodo and his challenger former special forces general Prabowo Subianto. 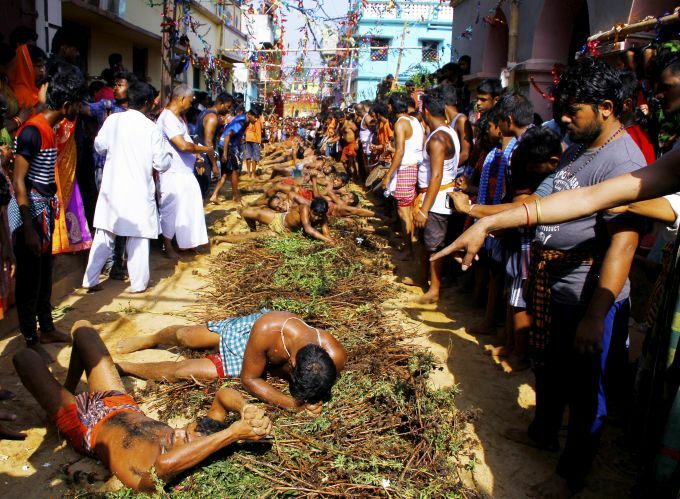 Khordha: Devotees roll on a wild thorn as they perform Danda(self-punishment) during the annual “Danda” festival in Khordha, Odisha Saturday, 13 April 2019. 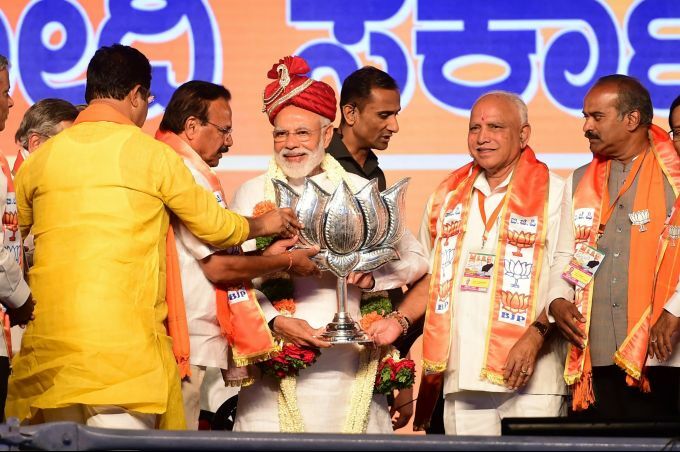 Bengaluru: Prime Minister Narendra Modi given a party symbol during a Vijaya Sankalap election rally ahead of the Low Sabha Election 2019 in Bengaluru, Saturday, April 13, 2019.